David Beckham has started training with Arsenal, in a bid to stay fit during MLS’s off season. He will mostly train with Arsenal’s reserves over the next few weeks but he may join up with the first team when they are short of players. Will he also wear official Arsenal kit to train in though? – no doubt tabloid sports editors (and me too, if I’m honest) are praying that he does. 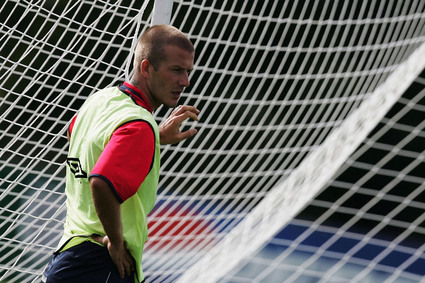 As with most of Becks’ moves, this is very much a ‘look-at-me!’ decision on his part. He could have trained with any team in the country, but instead chose to train with the Premier League leaders, presumably to show Fabio Capello that he still has what it takes to wear the white of England and win the 100th international cap he craves.